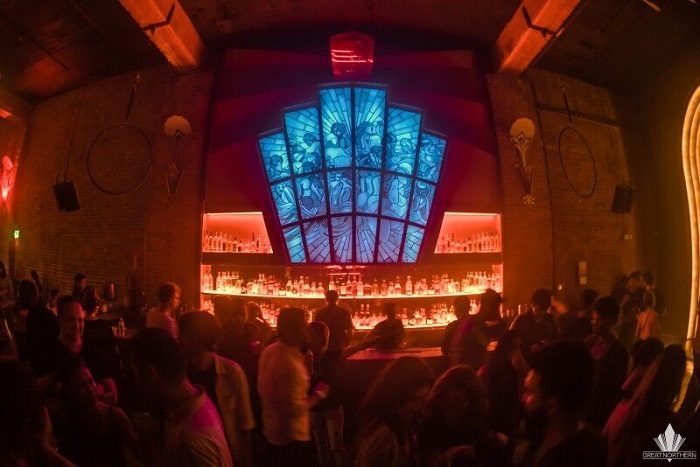 The Great Northern nightclub, San Francisco’s hidden gem for electronic music, has announced its stellar April line up; Âme, Adriatique, Dusky, Project Pablo, Kill Paris, JayKode, Sabo, Goldcap, Armen Miran, Beautiful Swimmers and the Dusty Rhino crew take to the coveted turntables, across a month of carefully curated events. 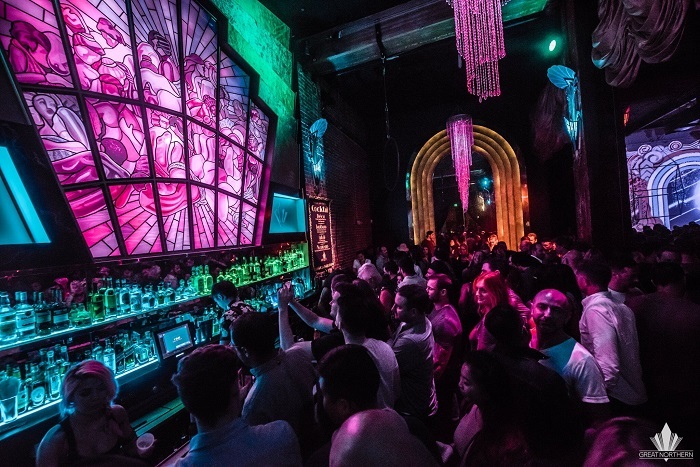 With its versatile music policy and uncompromising approach, The Great Northern has quietly become the club of choice for San Fran clubbers that know their electronic music, and continues to evolve, now delivering an experience to rival the world’s best clubs. Since launching in September 2016, the club has brought some of the world’s most respected DJs to the west coast, to enjoy its stunning art deco design (with 30 ft ceilings), aerialists, custom LEDs, projection mapping and incredible 80,000 watt custom-built VOID Acoustic soundsystem – DJs including, Honey Dijon, ANNA, Dixon, Osunlade, Jeremy Olander, Guy Gerber, Damian Lazarus, Leon Vynehall, Hernan Cattaneo, Soul Clap, John Talabot, Peggy Gou, Gerd Janson, Solomun, Floorplan, Tale Of Us – the list goes on and on. The Great Northern offers cutting-edge production and with a capacity of 700, one of San Francisco’s biggest clubbing spaces, yet still delivers an underground atmosphere with an undeniable determination to push the boundaries. Expect a full dancefloor for the April line ups. The close-knit team behind The Great Northern are four admitted ‘old school ravers’ who also own the respected Monarch club in San Francisco, as well the new and much-hyped Pawn Shop restaurant. 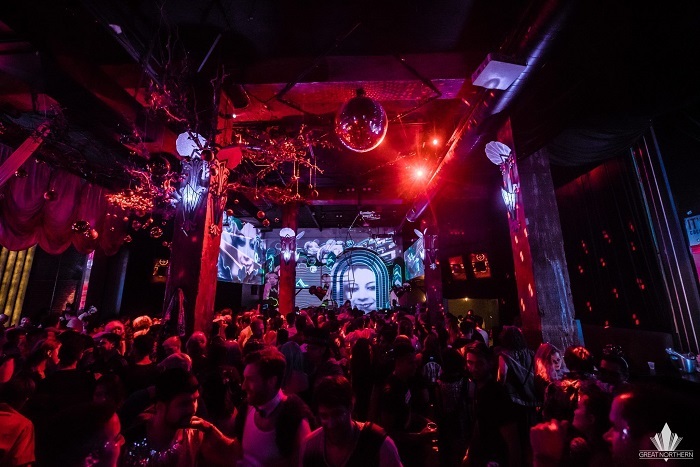 Firmly established as leaders in San Fran nightlife, The Great Northern was a labour of love which grew into something very special, and is now a rising star in the firmament of global clubbing. On 12th April, Âme and Adriatique step up once again to The Great Northern decks. Innervisions favourites, Âme (Kristian Beyer & Frank Wiedemann) are known for their electrifying live sets as well as captivating DJ performances. The German duo have been at the forefront of electronic dance music in recent years, helping to bolster the global dominance of emotive deep house and techno via high-profile performances and well-received releases on major labels like Life and Death, Watergate, Global Underground and many more. Championed by the influential, Afterlife, Adriatique (Naird & Alahs) have flown the flag for the burgeoning melodic techno genre with some memorably euphoric releases. They recently delivered a breathtaking live set in the open air of the French Alps; expect that same incredible level of energy as they touch down at The Great Northern! April 13th welcomes Dusky and Project Pablo to The Great Northern. UK duo Dusky are renowned for their unique, genre-bending house, a sound which has seen them in high demand, playing at the likes of Fabric in London, Panorama Bar in Berlin and DC10 in Ibiza. Their 17 Steps imprint continues to showcase this sound while releasing forward-thinking house and techno from cutting-edge artists. Acknowledged crowd-pleasers, The Great Northern is in for a great party when Dusky take over. Undeniably cool, Project Pablo enjoys a cult following worldwide and has been chosen to deliver for the legendary Boiler Room series on more than one occasion. He is sure to excite with his creative fusion of lo-fi and artistic house sounds. The Great Northern are offering a cheekily-named joint ticket to cover 12th and 13th April. The ’No-chella’ ticket offers a great value weekend of credible, quality clubbing for those savvy ravers who would rather avoid the festival behemoth of Coachella, taking place over the same weekend. On 19th April expect cutting-edge bass music as Colorado’s Q-Vents family land at The Great Northern for a Californian debut, with Kill Paris and JayKode in tow. LA artist Kill Paris is known for his captivating mix of future bass, house and glitch hop. With releases on the illustrious US imprint Monstercat, he has amassed a huge following and a sharp reputation as a live performer. Joining the Californian collab is Jaykode. The LA-based artist is renowned for his upfront bass sound and unique classical music influence. Signed to labels like Never Say Die, Dim Mak, Trap City amongst others, JayKode’s reputation for top-class, full-bodied tracks is sure to fill The Great Northern dancefloor. Q-Vents also bring even more quality talent for their debut including Anthony Sceam, Krushendo, JPower b2b Willy Wonksta, and Forest Green. April 20th sees The Great Northern host their first-ever annual Smokin Beats event. Celebrating all that is good with the infamous plant and the culture that comes with it, they host a night of smoke and beats with Washington DC legends, Beautiful Swimmers commandeering the turntables. The duo both continue to work in record stores and their sets guarantee an exquisite selection of musical gems and a mash-up of genres destined to move any dancefloor. Makes Me Move is one of the key nightlife figures in the Bay Area and steps up in support to show why his deep house and nu-disco grooves remain in high demand. April 26th sees respected SF promoters, SET descend on The Great Northern, bringing with them three artists who span nearly every derivative of house and techno in a Sol Selectas Records showcase. Label founder, Sabo is focused on bringing positive, sunshine vibes wherever he goes. His arsenal of deep tribal, afro dub, latin disco and more, is sure to unify the dancefloor. Goldcap cites early musical influences from classic rock and reggae, to traditional Indian and middle-eastern. This cultural melting pot ensures a special and distinct sound appealing to labels like Pipe & Pochet, Sol Selectas, Bercana Music and more. He will be aiming to hypnotise the dancefloor at The Great Northern. LA-based Armen Miran completes the eclectic trio of artists on the bill. 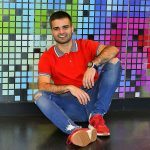 His love for ambient and dub techno, and passion for electronic music have seen him become the name and face of Armenia’s underground music scene and the resident of Calument Club in his native country. April rounds off on 27th with Rhino Romp hosted by Dusty Rhino. With 10 years and counting as one of the standout sound systems at Burning Man, the huge, brightly lit, fire-breathing rhino with DJ booth on its back, is well known and much loved. The Dusty Rhino DJs will hit the decks together with special guest DJs still to be announced. This is the first fundraiser of 2019 and monies raised by ticket sales will go towards getting the Rhino back to the Playa at Burning Man for more music, art and fire, as well as to a donation towards rhino conservation. Clubbers should be prepared to discover their inner rhino as The Great Northern goes wild. 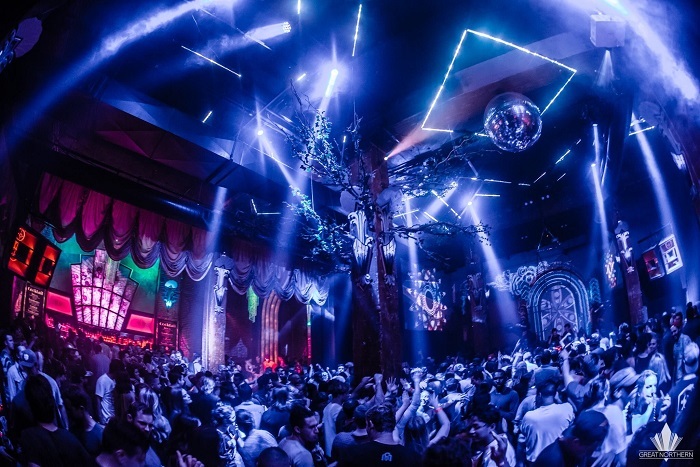 The Great Northern continues to set new standards for clubbing on the US west coast and is set to become a global destination for discerning clubbers in 2019. Tickets for all events are available via link.